This is the online version of the published book. It's Free! 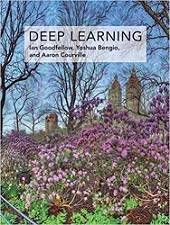 "Written by three experts in the field, Deep Learning is the only comprehensive book on the subject." -- Elon Musk, cochair of OpenAI; cofounder and CEO of Tesla and SpaceX. Ian Goodfellow is a researcher working in machine learning, currently employed as a research scientist at Google Brain. He has made several contributions to the field of deep learning. Yoshua Bengio is Professor of Computer Science at the Université de Montréal. Aaron Courville is Assistant Professor of Computer Science at the Université de Montréal.